Amit Bhatia, an award-winning social entrepreneur. IIC members have cumulatively invested $1.6 billion in 300+ social enterprises in India, across sectors like financial inclusion, affordable education and healthcare, water and sanitation, livelihoods, agriculture, clean energy, amongst others. He has been recognized as an “Education Czar”, and has been a finalist of the John P. McNulty Prize in 2010 and Winner in 2012 (The Aspen Institute). 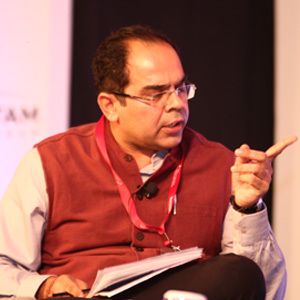 Amit conceived, founded, and led the McKinsey Knowledge Centre in India, the consulting firm’s global research centre.